The wall was made up of thousands of messages from the people of Durham. They gave their messages of Durham adoration to the council throufgh Social Media and then the messages were collated. Each letter became a unique pixel and combined to create a wall mural. The walls were shown around the county and painted over several days. 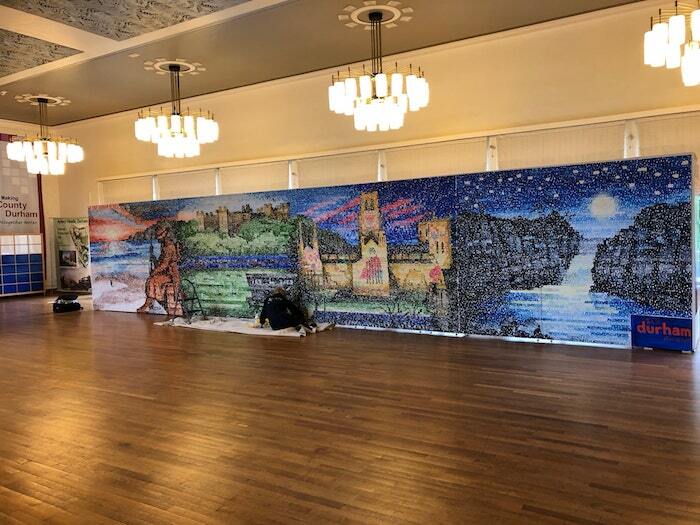 Each wall was finally brough together with the other walls to make one hugh and incredible wall of messages that demonstrated the attractions within the county. The wall will be used on tour around the UK to attract investment and businesses to the region.